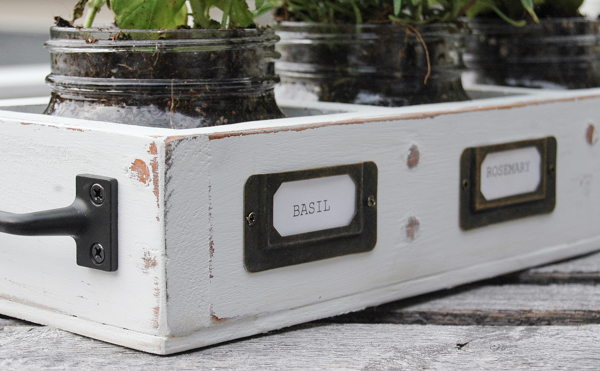 A unique way to turn an old bookshelf into a perfect farmhouse herb garden! Hey friends! I have another quick "trash to treasure" makeover to share before I board a plane and head to Atlanta for a DIY and decor conference. I'll be gone a few days and can't wait to come back and share my experience with you all. This summer has been crazy busy with the kids off school, vacations and afternoons at the pool. I feel like I'm a bit behind on the basement, but I couldn't resist taking a break and jumping on board with 18 other talented bloggers for a thrifted item blog hop. You know I LOVE hunting for treasures at yard sales, consignment shops and thrift stores. There's no better feeling than purchasing an item for next to nothing and turning it into something completely different and amazing. I started with this very country shelf that I was able to snag for $2.00. 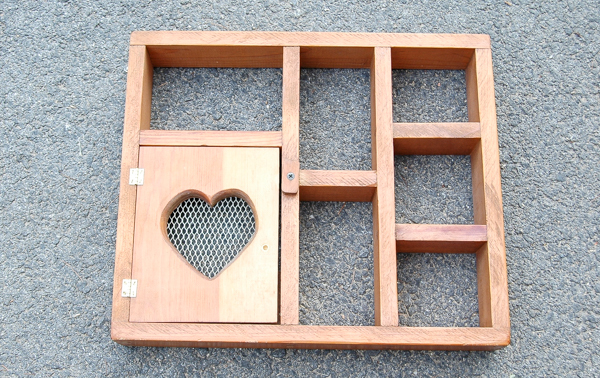 How do you like that heart door? 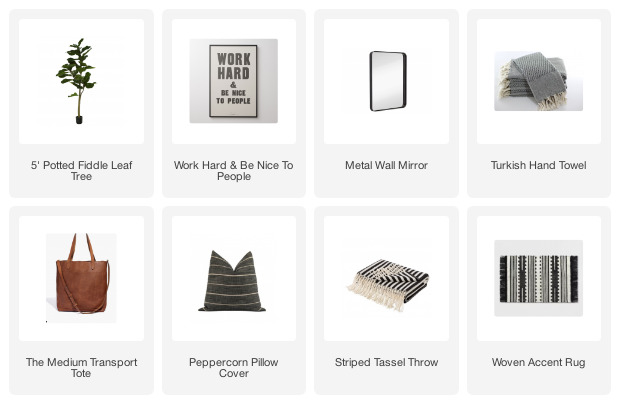 At the time, I had no idea what would come of the shelf, but I knew it had potential and I could turn it into something that fit my style and decor. I ended up cutting off about 3/4 of the shelf and only using the right side with the 3 even sections. 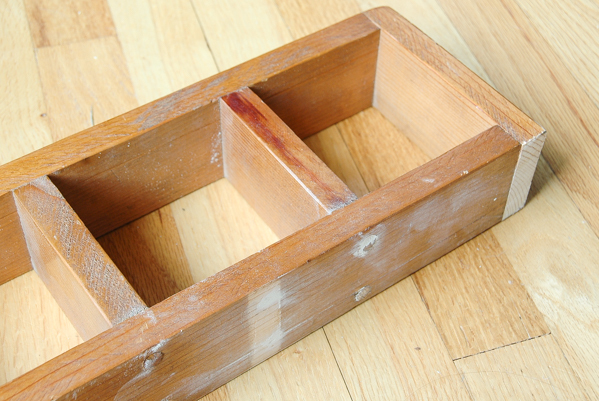 Once I had my useable piece cut I sanded the edges and puttied the holes that I made. 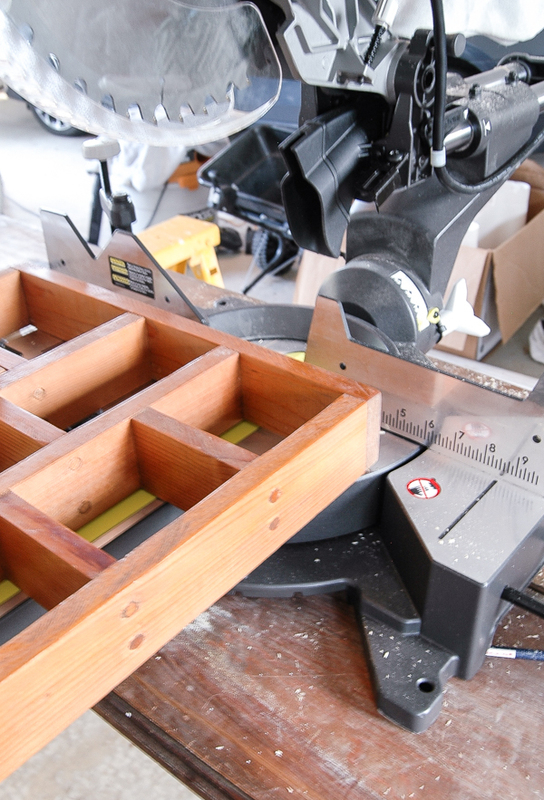 I also cut a piece of thin plywood to use for the bottom, which I attached with wood glue. 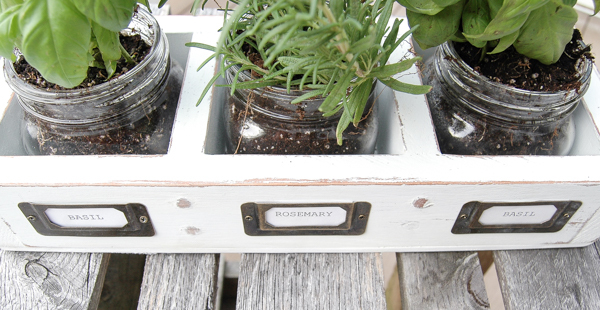 I filled the box with a few of my favorite herbs and had the perfect farmhouse herb garden. The best part about this little box is that it's so versatile! 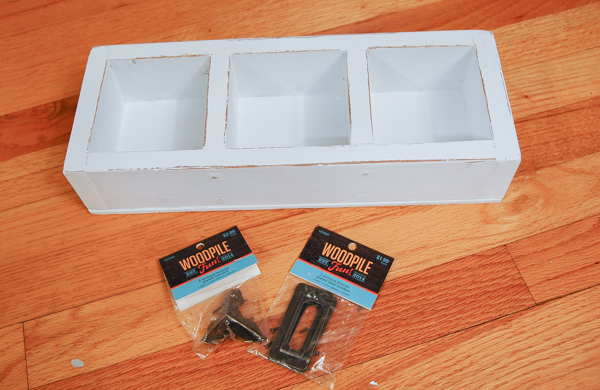 Not only can it be used for an herb garden, but it's also perfect for storing and organizing art supplies (markers, colored pencils, scissors, etc.) or as a utensil caddy to keep forks, knives and spoons organized. The possibilities are endless! Don't forget to check out the other 18 fabulous thrifted items! Katie - this is super creative! We love the vision that you had and your end result is fabulous. Not many people would have thought to dismantle the country shelf. Adding the vintage-inspired label holders was the crowning touch! This is SUCH an amazing transformation! 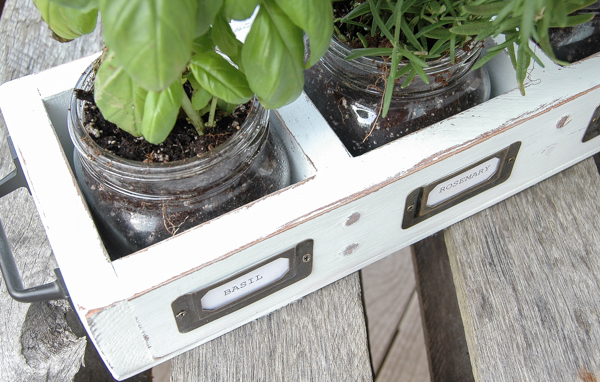 It is absolutely gorgeous and those label holders and handles are just the perfect touch. 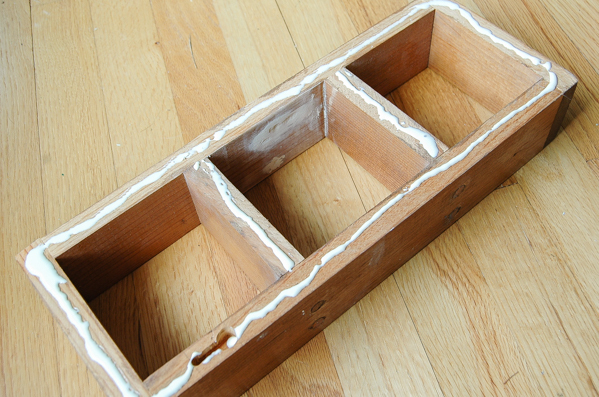 Love your idea to use it as art supply storage, too! Very cute! Love it! 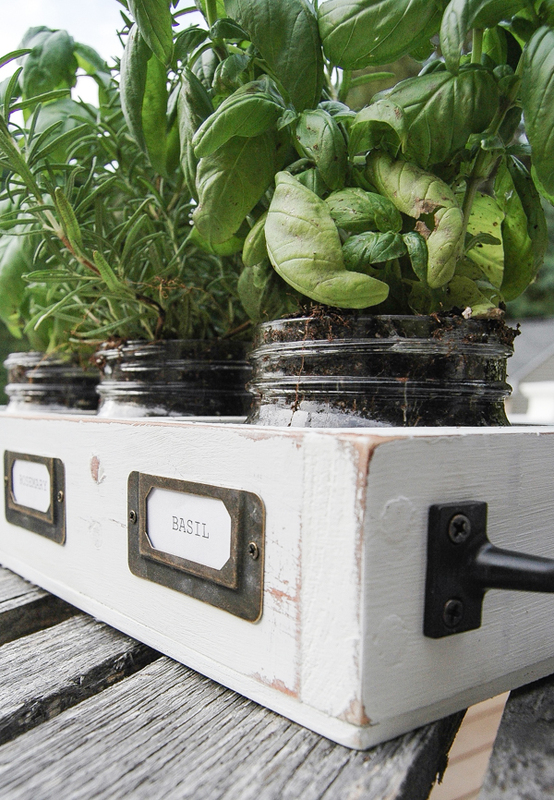 I've always wanted a kitchen herb garden. I never would have guessed that this was made from one of those dated shelves! You have such amazing creativity and your work always looks so polished. This is so cute! 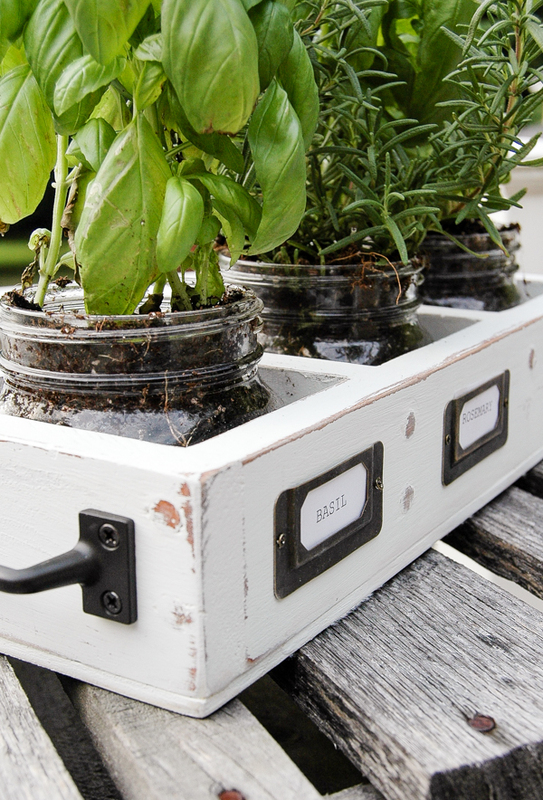 I never would have thought to turn that old shelf into such a cute little herb garden! Also, respect for having two basil plants! We had six in the garden and it was a little too much haha. But basil all the way! I love it, Katie but I would've never, ever brought that shelf home with me thinking I could do this!! What a great idea! My mom had one similar (heart door and all) when we were growing up! 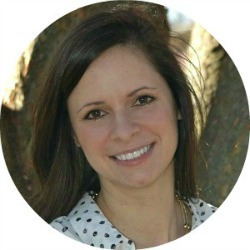 So glad to have you on this blog hop! Enjoy Haven! What a creative use of an outdated shelf!! I never would have guessed it started like it did. I love the label holders and handles! 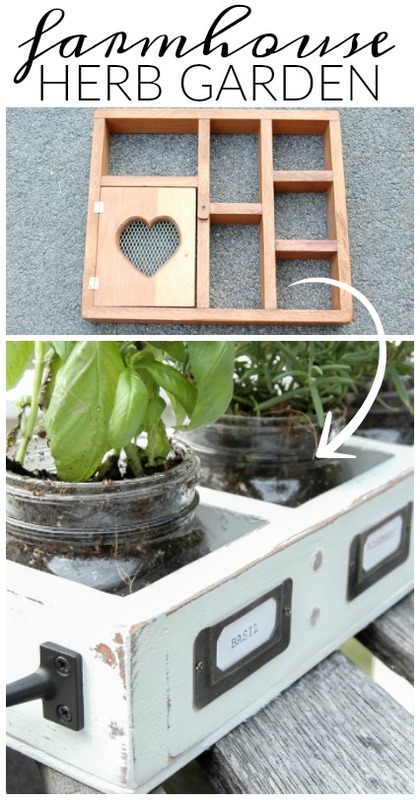 This was an awesome upcycle! Excellent vision... I would not have tho't of that. Way to go! Oh my gosh!!! love it!